I found this old article today, which was originally published in the Periodica Polytechnica (scientific journal of the Budapest University of Technology and Economics) in 1979. It covers issues regarding the designing of the letter S. The text from a PDF along with some illustrations are provided below. The characters S in “Hypnerotomachia Poliphili” printed in the shop of Aldus Manutius are excellent. 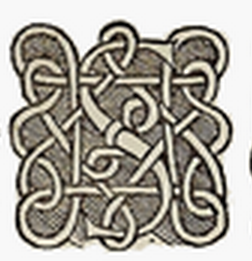 Among patterns arisen in the first century of printing, the designs by Vicentin, later by Cresci, show a dynamic letter S. Construction of the letter S by Durer is, however, faulty, the character falls backwards. In later periods, up to present, many good and bad examples are found, the difference between them slowly fading out. Forming of the letter S is unparalleled in our alphabet. The floating statics of the intertwining arcs makes it the most problematic character, ahead in difficulty of the construction of characters inexistent in the Roman alphabet therefore uneasy to be fitted into its form system. 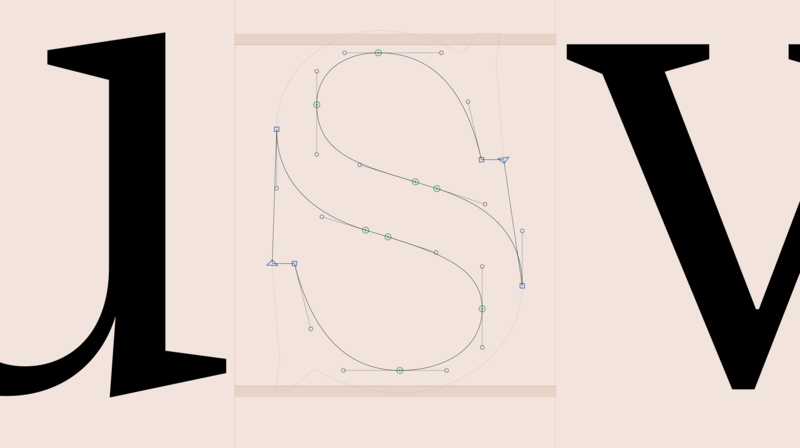 It is well known that S forms (both capital and lowercase) are built of two superposed circles. The two circles are joined, opened on top and bottom, in general by applying a tangent arc (a). The obtained initial form is not bad. If, however, the letter is less wide than the circles, the character tips over; vertical chords adjusted to the endings make the cause of this phenomenon evident (b). The S tilts less to the left when only the upper part is shorter than the length of the diameter (c). Just as deficient a form results from enlarging the lower part for the sake of an apparent, optic equilibrium of the two parts; thus the character obtains a vertical tangent on the left but none on the right (d). The correct solution is evident; the upper circle has to be slid to the right (e). Even with identical circles, a balanced form tending to the right is achieved. S varieties are easy to construct from joining identical circles slid on each other (Fig. 1). In drawing four squares, not only those enveloping the circles but also their reflections along the horizontal bisector, diagonals of the overlapping squares intervene in constructing the letter. They provide numerous points and refer to other ones suitable as centres for circular arcs to be composed at will. Thus the letter may be formed optionally to match the given alphabet. The construction is simplified by adhering to the enveloping circular arc for the outer arcs, rather than to join both circles by an arc, necessarily empoverishing the form. These letters have in common to always keep the statics of S and mostly also its impulse. 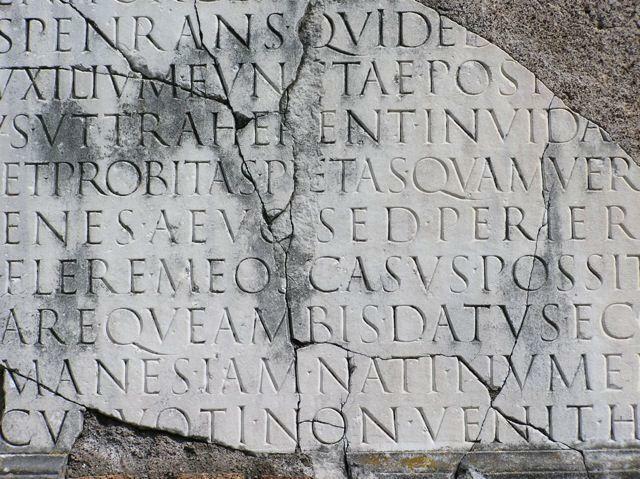 Roman capitals inscription at Via Appia. The S is still my favorite letter to draw. Yes, it is demanding but also satisfying. I must admit that I just draw it rather than construct it. It is interesting to see this theory, however. In summary: Dürer's compass/straightedge rationalization was wrong. Tilt the S a bit and make the top smaller. Ah, my old nemessssisssss... (sorry!) Damn hard letter(s) to draw, especially if you're using a mouse. This circle method is so much easier, producing usable results nearly instantaneously, with very little work. Plus, its authenticity is impeccable, being millennia old. Very nice! Geometric construction works very poorly, even for monoline geometric typefaces. 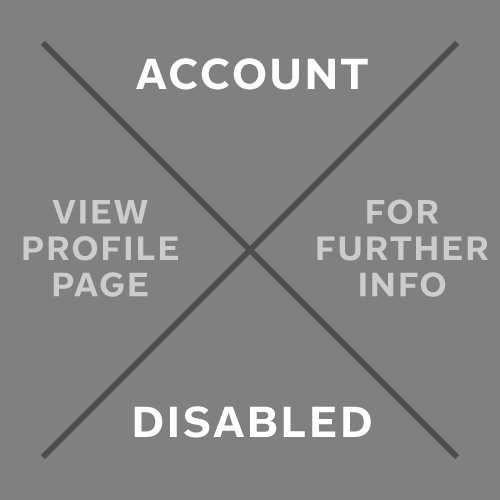 All of Gróh's examples depart radically from the underlying circles. (And they're still not very good.) Meanwhile, constructing an S out of circles doesn't work at all for most styles of letter. You can't make grots, garaldes, didones, transitionals that way, to say nothing of more calligraphic forms. You sure can't make an s for Michael's M75 face (which, fwiw, I think is shaping up very nicely). Michael, if you think the circle method produces usable results fast, I suspect you're not looking hard enough. Drawing an s is a basic type design skill. Trying to find a trick to avoid learning it will not help you develop. Circles are worse than useless for drawing an S. Even Beziers can get in the way or drawing an S. I've found an S technique that works for me. I start with a crude polygon S. Kind of chunk and octagonal, maybe around 25 segments. I open a preview window, zoomed way out so the glyphs are only a few blurry pixels high. I type test words containing S. Then I go around to each point on my chunky polygonal S and bang the arrow keys until it starts to harmonize with the rest of the alphabet. I don't think about curve construction, just the mass of it and how it looks next to the other letters. No measuring or thinking involved. I just do it by eye and I try to only look at the small blurry version. Once it starts looking like it makes sense, I add more points, one-by-one. I bump those around with the arrow keys, maybe zooming in on my test words a bit. As more points are added, the less I need to bump the arrow keys around. Once it's looking sort of smooth, I throw it to the background layer and draw it again with Beziers. It's just one of those letters where measuring and geometry can really throw you off. I prefer to let the rest of the alphabet decide what the S is supposed to look like. I use this for question marks, ampersand, five, sterling... this and that. What was helpful for me was learning the term "spine." Once I started thinking of the middle as one of the main parts of the letter, rather than just where two curvy parts happen to meet, a switch flipped for me. Still find balancing S hard though, especially in italics. Here's my trick for drawing S: draw thousands of really crappy ones over the course of several years. Eventually you'll find that the S's that used to come out lousy—and you had no idea why—are coming out a lot better—and you still have no idea why. Well, in all fairness they're more usable than what I draw... the bar isn't exactly high. I never could get the upper left and lower right curves to look decent, not without hour after hour of work, deleting points and moving off-curve points. Anyway, I think I unconsciously adapted a method of resizing and stacking the letter /o, rather than a circle -- already shaped for/by/with pen angles and such, and more oval than circular. This looks better than circles. But I think Max has it right. I long ago realised that the trick to making an S — for me at least — is to completely ignore the middle section until the end, and to concentrate on a mental image of the top and bottom relative to each other. I usually create these as separate outlines, and move them about and adjust them until I am happy, and only then connect them. At that stage, if the top and bottom are solid, the middle section just sort of falls into place. Interesting, John. That’s the opposite of the sign painters’ technique taught by John Downer where they do the spine first. Do you have to start with Béziers? Besides the shape, another thing to consider is the width of your /s. It's a letter that gives you some freedom to play. For what little it's worth, if I have to draw an S or any other glyph where organic flow is important, I personally have to start with pencil or ink, some method that lets me make whole forms with a sweep of my fingers and/or hand. Once I've got the essence, béziers are brilliant for editing. But compared to a drawing tool in my hand, I find, even after 30 years of practice, that using béziers to create complex curves from scratch is a bit like pushing strands of al dente spaghetti around with chopsticks. I don't understand the difficulty of this character? I just deconstruct the section mark and put the top and bottom of that together for both Ss. If I have dollar sign done, i just delete the bar and add a bit of weight to the diagonal. Maybe I was born with a bezier chromosome but I rather like starting straight away drawing with the mouse. Is that strange to have done the section mark and/or dollar sign before both Ss? Mr Berlow was enjoying a bit of humor, Michael. You crazy kids with your computer gadgets. I don’t have one single method for drawing S, but I tend to focus a lot on the negative shapes – to the point where I sometimes draw them before I draw the actual letter. And, I’ve found that a spine with a straight segment gives me a lot more control. This one isn’t quite there yet. 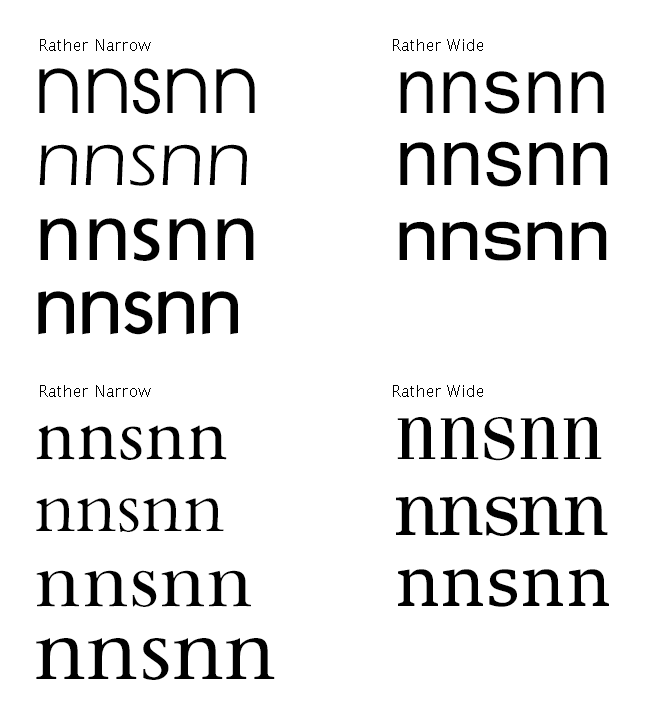 2) Apply Broad Nibber plugin for serif typeface or plain Offset Curve in sans typeface. I’d skip point one and two and just tweak everything – as necessary. 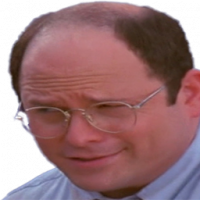 Polygonal templates have the most tweaking freedom. (Rotating and slanting artificially not worrying about extrema is really helpful.) The result of adding serifs and broad-nibbing the template has a certain charm I can't place my hand on. Am I the only one who draws it like any other character? I have no real tricks here, just throw down some points and adjust them. No! You must have a special way! Seriously, I think the only "trick" is to train your eye through the experience of drawing it (however you draw it) until you know when it looks right or not. There's no trick that will let you skip that step.